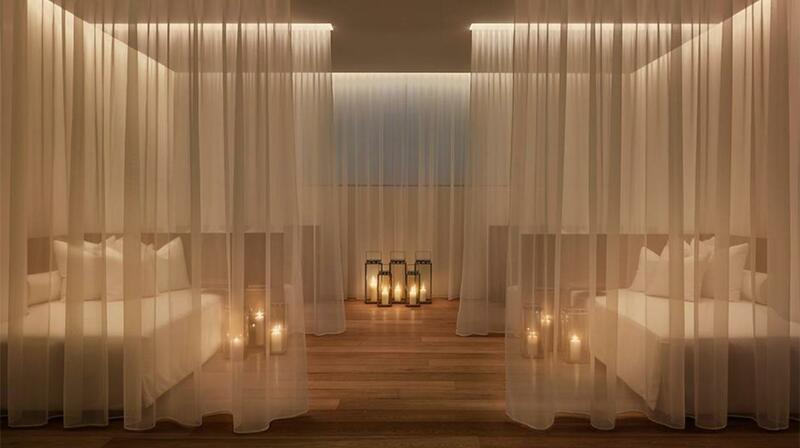 This spa offers guests a wide range of services in a soothing, relaxing environment. It features nine private treatment rooms including a detox room with a steam shower and far-infrared sauna, a Beauty Lounge for nail, hair and makeup services, spacious locker rooms with a steam room, and a spa shop retail featuring "best of products" and beach/loungewear. 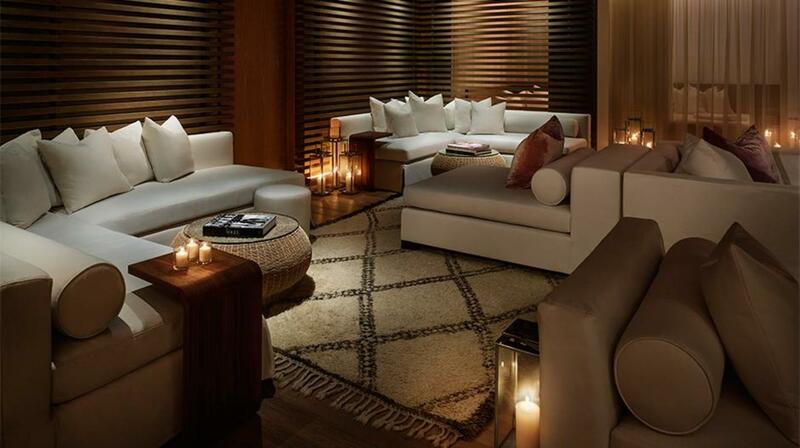 A central relaxation area with custom-designed daybeds is surrounded by drapery and vintage Moroccan rugs.